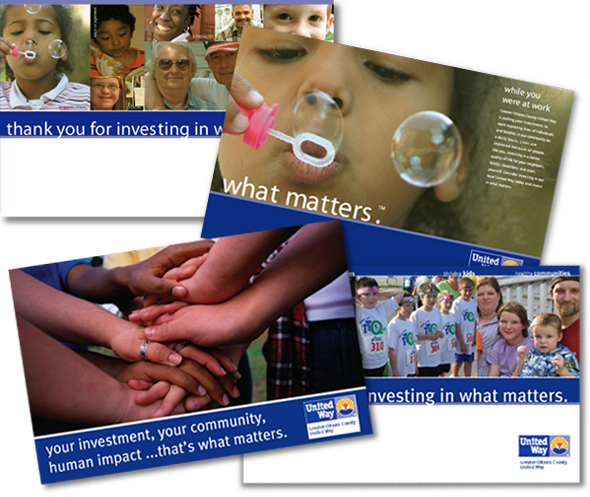 IONA was requested to develop the 2006 United Way campaign that included brochures, poster, annual report, billboards, pledge sheets, and mailings. 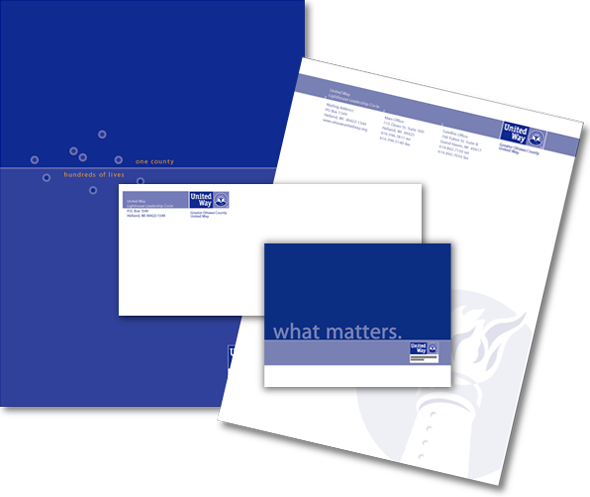 Using the National campaign tag line ‘What matters’. IONA worked to provide real world stories of individual directly affected by the United Way. 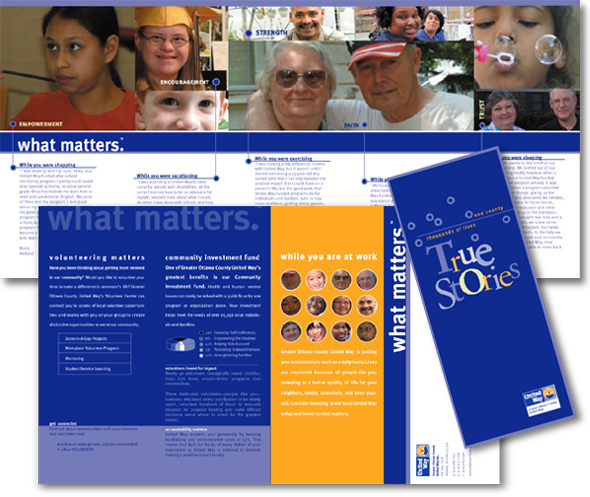 From children with disabilities to elder couples needing financial assistance, the campaign was a true success that hit the heart of ‘what matters’ to its target marketing. As with most all non-profits, the United Way of the Lakeshore depends heavily on the donation of the community, federal and state grants, and volunteers. The United Way and its affect on the community is a reflected through the people it affects… the giver and receiver. With this understanding, using real-world photos of young children, students, graduates, families, parents, couples, elderly, and many more community groups are what make up the United Way. 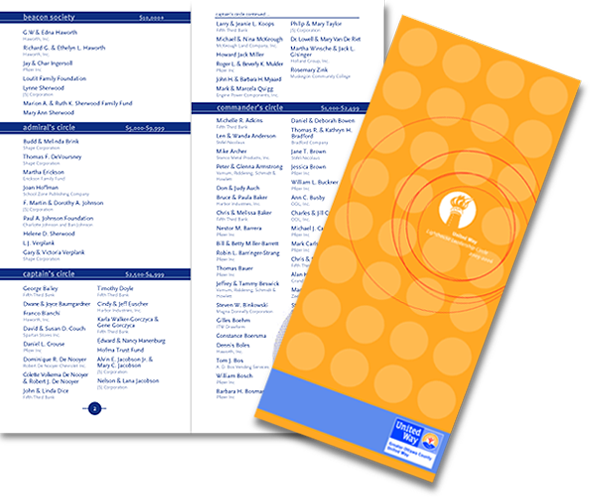 As a local company to the United Way of the Lakeshore, IONA was a proud member of the United Way team as we created the 2006 Donor Campaign. By the use of compelling photography and a message that is always focused on the affect a dollar makes to each recipient, honest stories tell of an organization that is changing lives. Using an abstract design of a geographical map that denotes locations within the local area that ‘real stories’ are created, the donor is reminded of how their local community is affected.